It's been three months since I had my nails done on a nail salon. As you know, I've been trying different nail salons since I started this blog. I just have this urge to do this pamper sessions because in all honesty, I feel refreshed after. 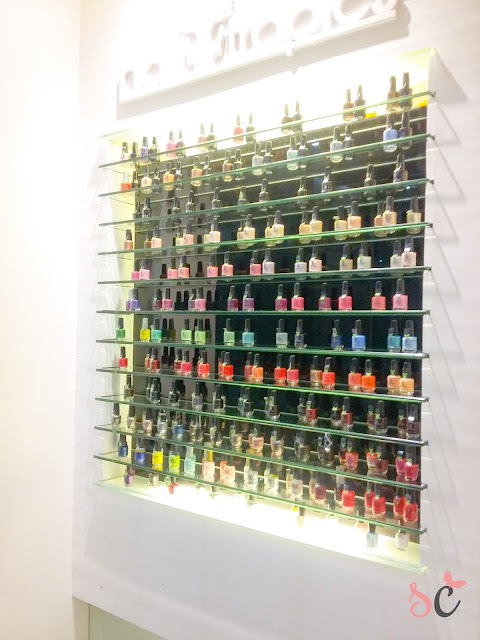 Most of the nail salons I have tried (or I think all of them?) gave me the best pamper session they can offer. It's been a hell, lot of stress this year, and I decided to end it, being pampered. You know, #LoveYourself. 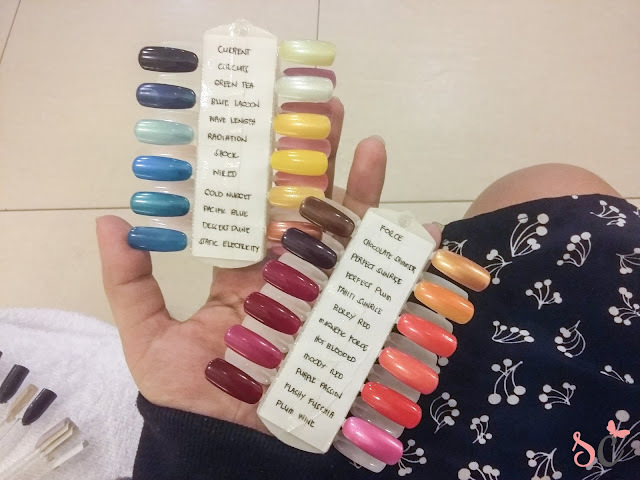 So I visited Nail Tropics Podium Mall since it's near my office. 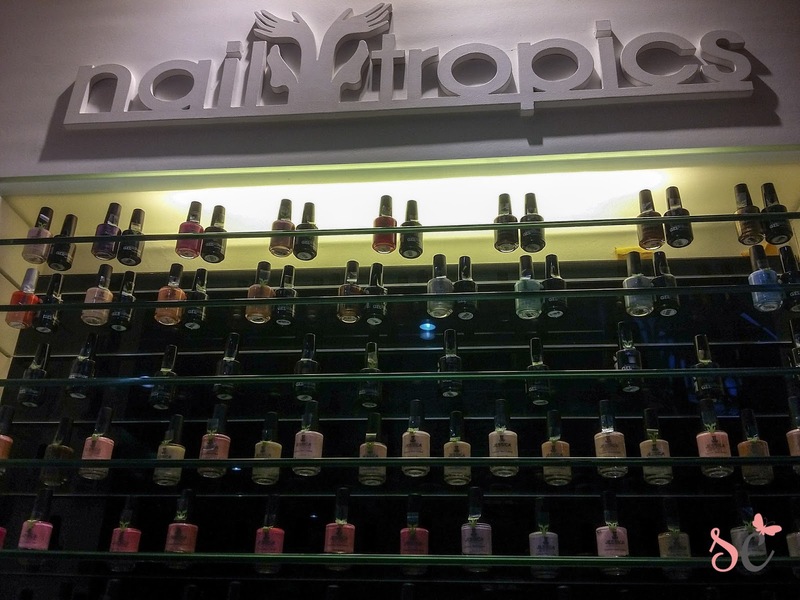 "Nail Tropics is a specialized hand, nail and footcare oasis. Once you step inside our cozy, nature-inspired boutiques it becomes our goal that you experience a little serenity in your life. Choose from a variety of our classic and eco-friendly, organic services then sink into one of our signature Nail Tropics beach chairs. 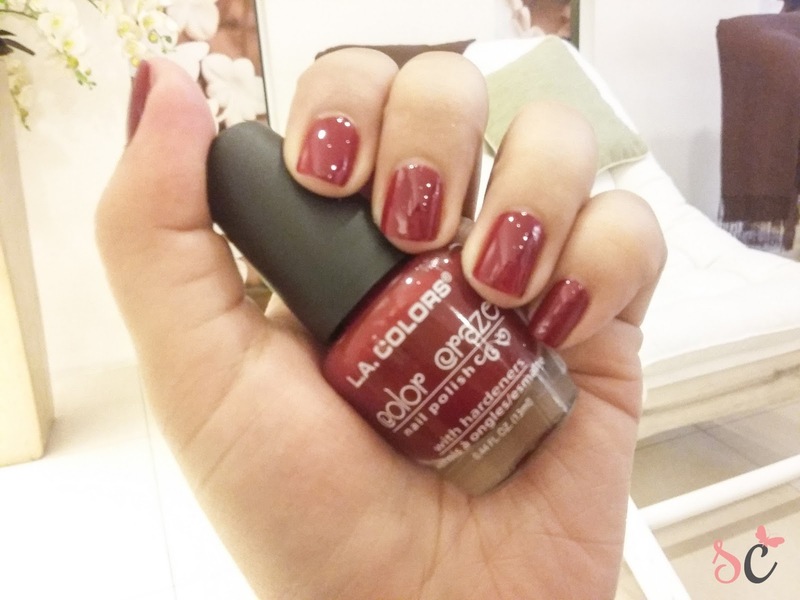 While you wait for your nail artisan, sip on a complimentary refreshing beverage. It’s a weekly mini getaway right at your fingertips." Isn't it cozy? Their chairs are so soft that it will make you feel better and comfortable. Nail Color choices. This one is the free of charge colors and they still have another set which you will add P60. I don't know why and what's so special with the other nail polish that you have to add P60 if you chose the color. Pamper time! I miss this feeling. I had my mani and pedi done. I chose the classic pruning special, which includes cleaning, trimming, buffing, and polishing. For only P375. Isn't it affordable? My nail technicians are very polite and accommodating. They did my nails with utmost care. What amazed me is that, when you want to cut your cuticles, Nail Tropics have their waivers that you will sign just in case. I haven't been into nail salons with waivers. In all fairness, even though a bit painful, they removed the dead skin on my toes. Ate Wena mentioned that it shouldn't be cut always so that the nails wouldn't be so deep. I hate it when I have my nails done on local parlors. They push the nails so much. Now, I'm deciding that I no longer want to go to local parlors. 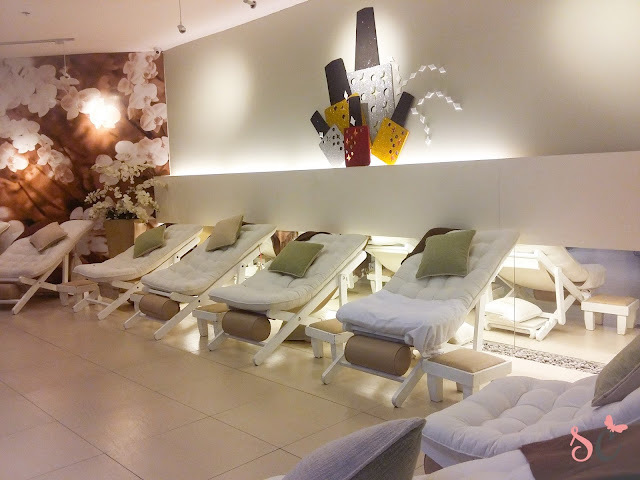 After the nail pampering, they also offered a back massage that is so soothing. It's so sulit for P375! I love how they shaped my nails into square, and how this red polish made my hands look whiter. This one is the heaven side of their salon. The wall full of nail polish! Oh-My-Gosh!